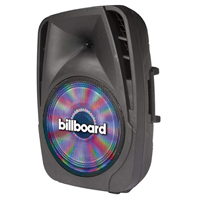 The Billboard Power Party Powered Speaker is perfect for those who are looking for big sound and don't want to compromise quality. Its large 15-in. woofer and 1-in. tweeter delivers the perfect sound mix for any environment. Turn on the LED lights to illuminate any room and create the perfect party atmosphere. A wireless microphone is also included with your Bluetooth speaker, so you have everything you need to get started. Invite some friends, plug in and you're ready to go! We guarantee your satisfaction on every product we sell with a full refund — and you won’t even need a receipt. * We want you to be satisfied with your Micro Center purchase. However, if you need help or need to return an item, we’re here for you! If an item you have purchased from us is not working as expected, please visit one of our in-store Knowledge Experts for free help, where they can solve your problem or even exchange the item for a product that better suits your needs. If you need to return an item, simply bring it back to any Micro Center store for a full refund or exchange. *If you are a Micro Center Insider or if you have provided us with validated contact information (name, address, email address), you won’t even need your receipt. Desktop / notebook computers, tablets, processors, motherboards, digital cameras, camcorders and projectors, 3D printers, 3D scanners, and CD/DVD duplicators may be returned within 15 days of purchase. All other products may be returned within 30 days of purchase. Merchandise must be in new condition, with original carton / UPC, and all packaging / accessories / materials. If you need to return software, a game or a movie, remember that you may not retain any copies — it’s not legal, and it’s not nice. All Digital Download sales are final and are not eligible for return or refund under the Micro Center Return Policy. Using the software may require the use of a computer or other device that must meet minimum system requirements. It is recommended that you familiarize yourself with the system requirements before making your purchase. Software system requirements are typically found on the Product information specification page. Micro Center is happy to honor its customary 30-day return policy for Aerial Drone returns due to product defect or customer dissatisfaction. Unfortunately, we cannot accept returns with damage due to pilot error. So let’s be careful out there! Wireless phones and devices may be returned within 14 days of purchase. When returning a wireless phone or device with a plan, you are responsible for ensuring that your service is cancelled with the carrier. 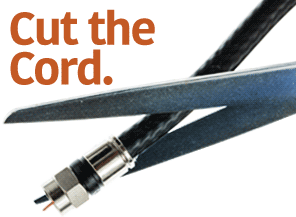 If you don’t cancel your service, you may incur additional charges from your carrier. All carrier charges are your responsibility. Refunds will be credited to the credit card or debit card account used for the original purchase. If you need help with products purchased from Micro Center, please contact one of our knowledgeable tech support reps using the information below, or visit our tech support website for additional options and helpful information. Tech Support emails are answered within 24 hours. Free assistance is available for the first 90 days on new purchases, excluding internal hardware installations or networking support. Your invoice reference number will be required for free assistance. We accept the following credit cards: Micro Center VISA® credit card with WorldPoints® Rewards; VISA; MasterCard; American Express; Novus/Discover. Learn more about our exclusive Priority Care Program. You'll have access to our in-house Technical Support team of certified technology professionals trained to assist you on a variety of computer related support issues.